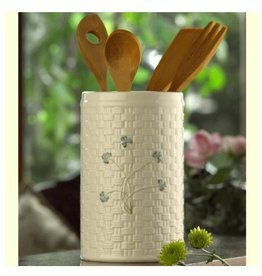 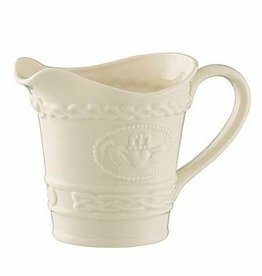 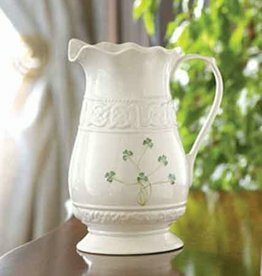 This beautiful Belleek utensil holder would look lovely sitting on the counter of your Irish kitchen. 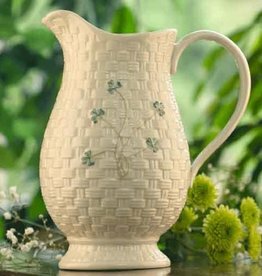 It measures approx 7.5”H x 4.5”W. 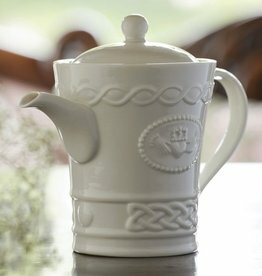 teapot and creamer. 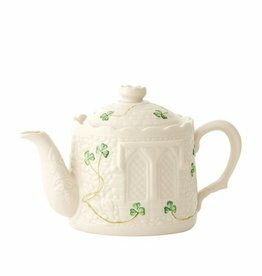 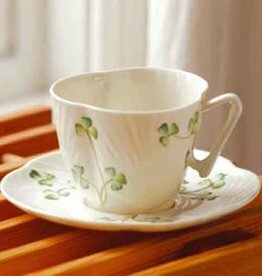 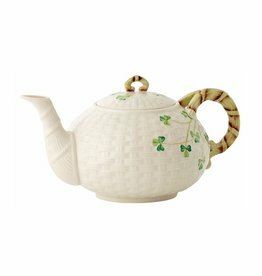 It features hand painted designs and looks beautiful as part of your Irish tea set. 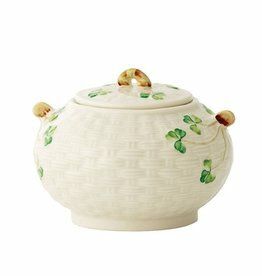 This little covered bowl measures approx 3.5”H x 4”W. 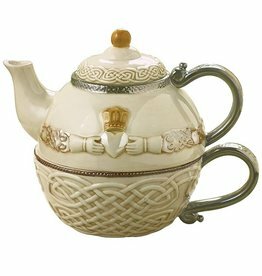 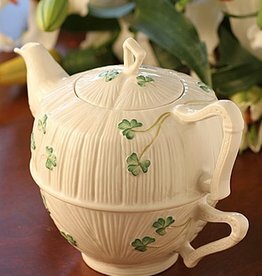 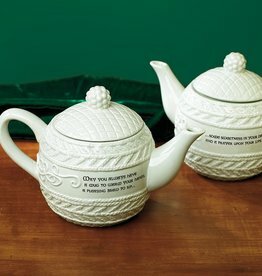 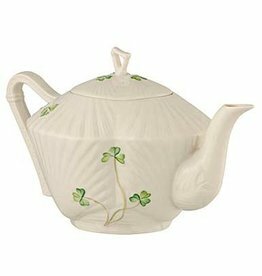 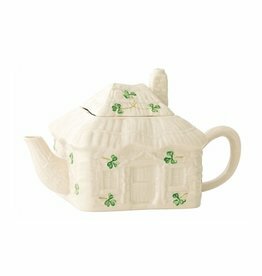 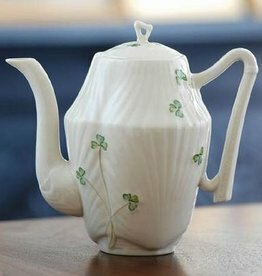 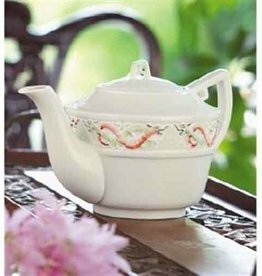 Serve up some tea to share with friends in this beautiful and elegant Belleek Harp teapot. 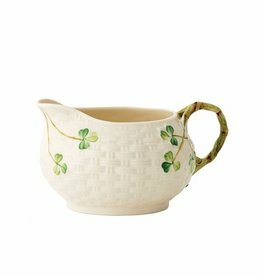 It measures approx 5”H x 8.5”W. 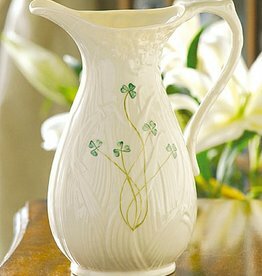 Look for matching Harp Collection pieces. 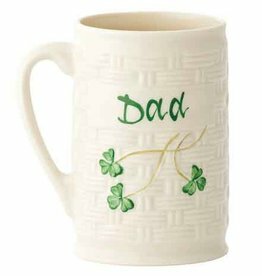 Dad will always know which mug is his with this beautiful crafted piece from Belleek Pottery. 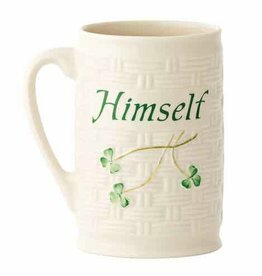 It makes a great birthday or Father’s Day gift. 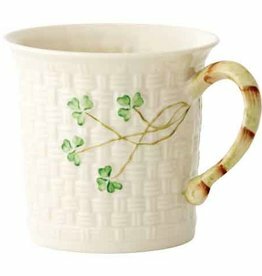 Mug holds 11fl.oz and measures approx 4.5”H x 4.25”W. 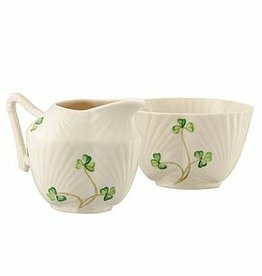 Beautiful and functional, these rounded salt & pepper shakers from Belleek are sure to dress up any kitchen table. 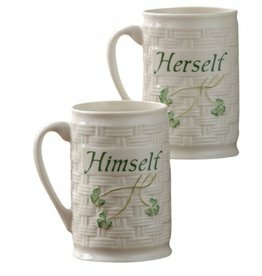 They are sold in pairs. 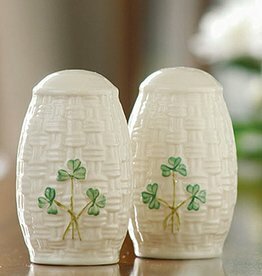 Each piece measures approx 3.25”H x 1.75“W.